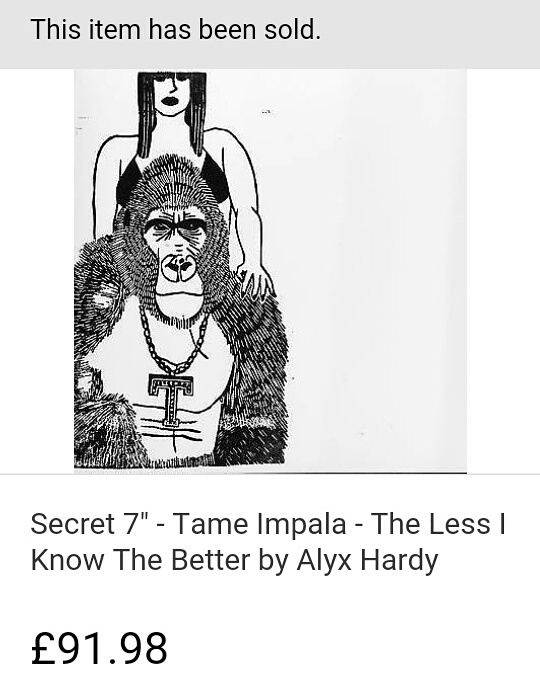 I am very happy and surprised that my Secret 7″ sleeve sold for £91.98, which is a lot more than I’d hoped for! I’m excited and surprised that my Secret 7″ record sleeve design is being included in the exhibition at Sonos Studio, London! Apparently this year there were a record number of submissions, which is why I’m surprised I am selected! I’m not allowed to reveal the artwork until after the exhibition, which is from 8th April – 1st May, with the sale day being on 2nd May. Each record is for sale at £50, with the money raised going to support the charity Amnesty International UK. The record sleeve I designed for Secret 7″ was chosen and purchased by the lady above! I would just like to say thank you to her and to Secret 7″. Although I had a very small part in the exhibition, it has meant a lot to me to be selected. This was the first time my work has been exhibited in London and in such a great place like Somerset House! I hope this post isn’t too sentimental, but I wanted to express how grateful I am! Thank you! Here is the lino block I carved for my Secret 7″ design! My Secret 7″ Design Revealed! I can finally reveal my Secret 7″ sleeve! It was number 585, a linocut for ‘Born Slippy’ by Underworld. Last night I went to the private view of Secret 7″ at Somerset House. My record sleeve design, along with many others, is on display there until 3rd May. It was a nice night and great to have the opportunity to see all the other record sleeves. It was fun trying to guess the artists of the anonymous sleeves! The identity of the sleeve designers will be revealed after the sale day on 4th May 2015. I’m thrilled to be part of this event and it would be great if you are able to go and see it! You can preview all the record sleeves in the Secret 7″ online gallery, see if you can guess which is mine! 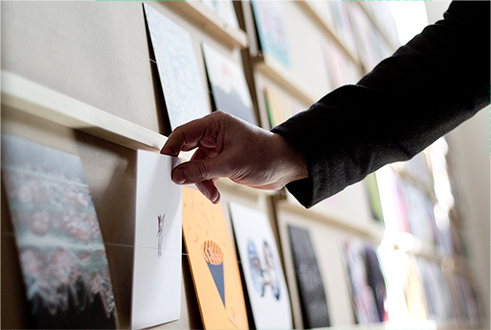 My Secret 7″ record sleeve design is being included in the exhibition at Somerset House! I am not allowed to reveal it until after the exhibition, which is from 10th April – 3rd May, with the sale day being on 4th May. Each record is for sale at £50, with the money raised going to support the charity Nordoff Robbins. Here are some images of the work at the NUCA Illustration Degree Show 2011. If you would like more details on which illustrator’s work is in a photo then please visit the Norwich Illustration Facebook page where I will put the details of the illustrators featured. 2 days left to visit the show! You can see it is well worth a visit and a great chance to invest in some artwork.